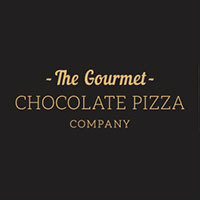 Presented in a pizza delivery box and surrounded in tissue paper, the 7" Chilli Chocolate Pizza from The Gourmet Chocolate Pizza Company is such a fun and unique gift! With a 70% Belgian dark chocolate base infused with chilli oil and covered with chilli and mango Jelly Belly jelly beans and generously sprinkled with milk chocolate curls, what's not to love? With 8 slices to devour, this scrumptious and spicy treat would be the perfect gift for him or the chilli fiend in the family.